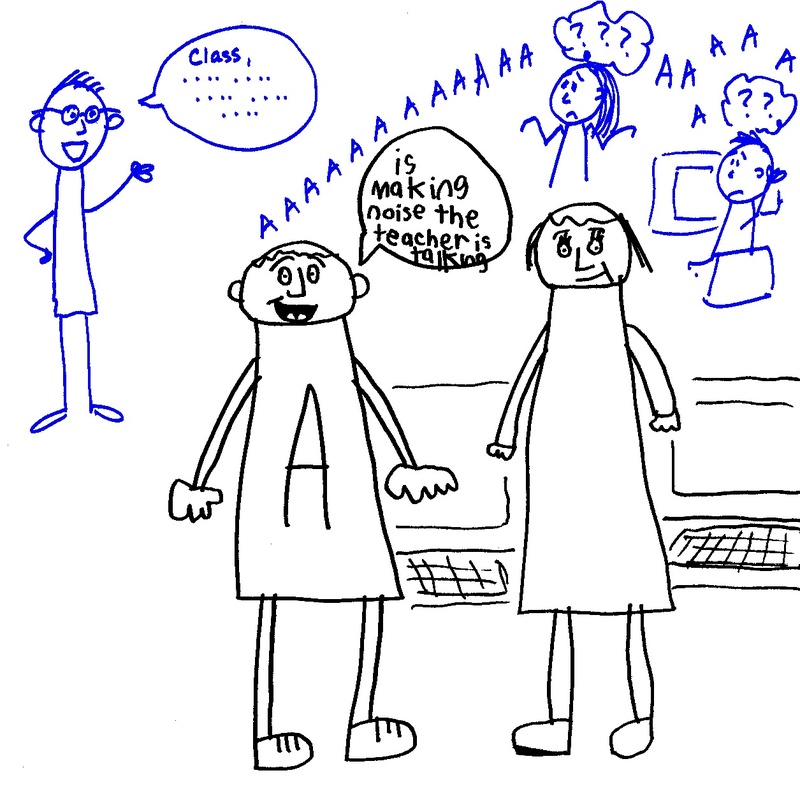 Autism and the Art of Communication: ... what does success look like? We all want to be "successful" in life .... we want it for ourselves, and we want it for the people that we care about, especially our children. But what does success in life really look like? It's a concept that's hard to define and even harder to measure. 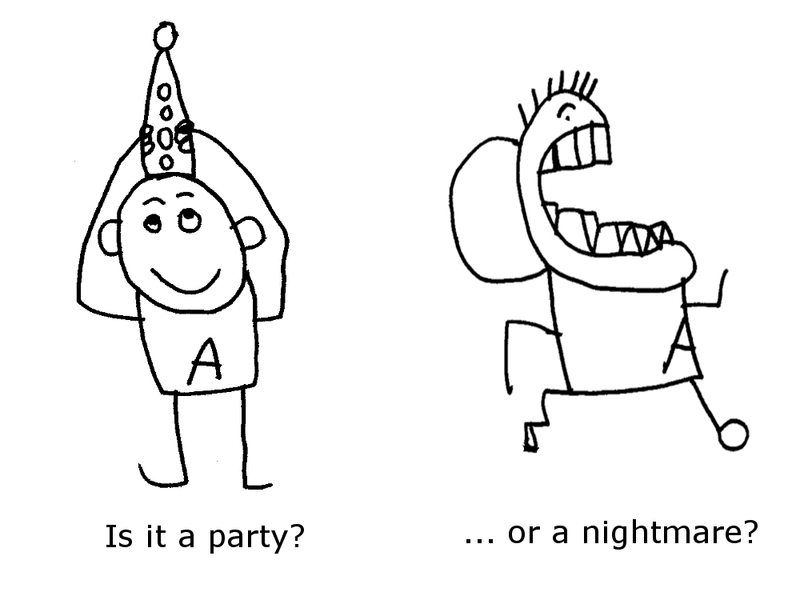 What separates a fabulous party from one that really tanks? The variety of refreshments served? The density of decorations per square foot? The frequency of greetings heard by the doorman? The number of jokes told per person? Any of these measurable factors may be related to what you want to know, but they're not exactly definitive, are they? 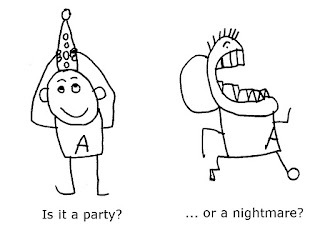 To truly define what separates a great social occasion from a disastrous social occasion, you have to move into concepts that are more subjective, and by definition, less easily measured. Did you feel comfortable, warm and welcomed, or anxious, stiff and marginalized? Did the event flow so that you lost track of time, or were you checking your watch every few minutes to see if you'd reached the minimum polite threshold and could exit? Did you relax with friends, laugh and enjoy yourself, or did you analyze and approach each encounter like a military engagement, guarding your words and worrying about the reaction of your conversation partners? Did you enjoy yourself? Would you go back voluntarily? Social success is not determined by saying the perfect words or greeting a target number of people - instead it's defined by inner feelings of comfort and enjoyment while interacting with other people. Sometimes the knowledge and skills we teach make things more (not less) distressing. 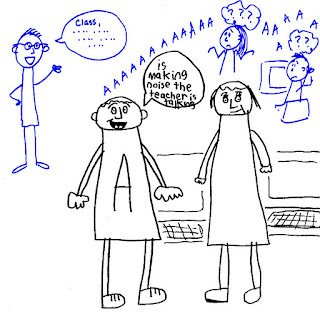 I regularly teach ASD students how to pay attention to and "read" the non-verbal social communication cues broadcast by other people - this is critical information for social interaction. But it can also be overwhelming information, and once you know it's there you can't ignore it. 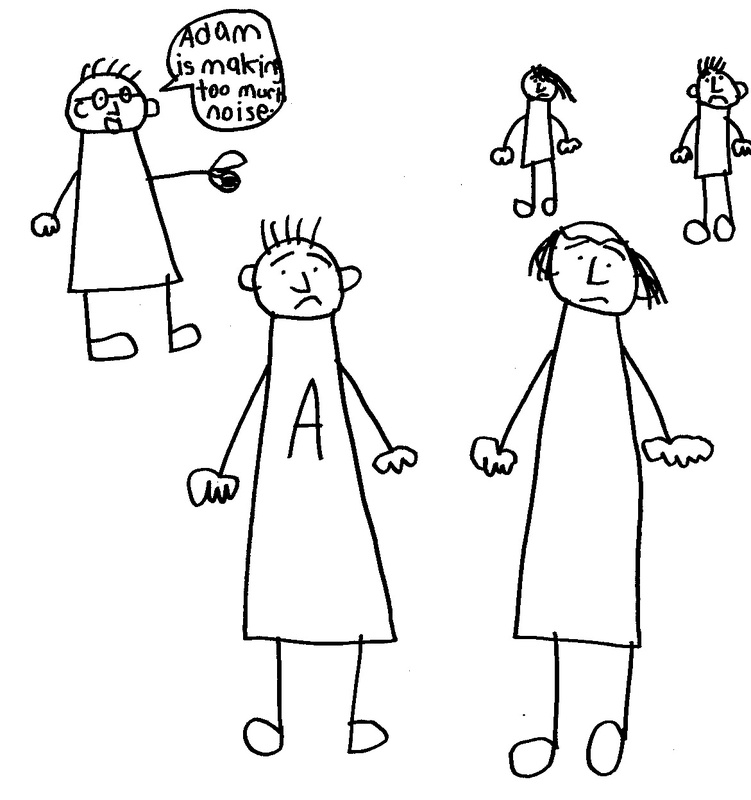 When Adam was younger, he was not aware of how his behaviour affected others. When he began to draw, he started to notice more about other people, with both positive and negative effects. The positive effects included voluntarily interacting with a wider circle of people, accompanied by growth in his functional communication skills. 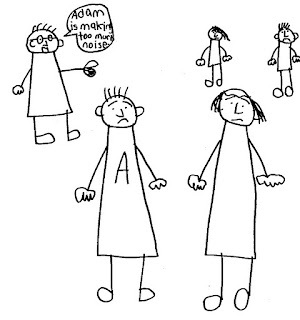 The negative effects were more subtle and best illustrated by Adam himself. Look at the change in his expression, and in the expressions of the people around him. On the one hand, it was important social information, and my goal was to help him to be successful in the classroom. On the other hand, because of this information, he started to feel the disapproval of others, and we had a period of time where he began to doubt himself, to worry about whether other people liked him and thought he was a good person. Double-edged sword. So what is success then? Following ASD individuals over the long term in my private practice has challenged and changed my ideas about what constitutes "best practice" in autism intervention. Defining success in social and communication interactions with other people is largely about inner perception and emotional reaction. Intervention is only successful if the ASD individual also (eventually) agrees that the change is positive and something that they want. When we devise programs aimed at "improving" life for individuals with autism, we need to tread lightly and keep the wishes, perspective and personal preferences of the ASD person at the top of our priority list. Intervention will not look the same for every individual, and that's not only okay, it's desirable. The challenge of evaluating progress using subjective outcome measures is more than offset by the fact that you're helping the individual to build a life that they like, that works, that's "successful".